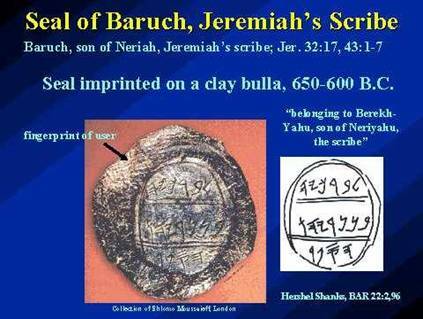 The Haftorah is read from the book of Yirmiyahu (Jeremiah), 16:19-17:14. The connection of the Haftorah to the Parsha: There are 2 connections: #1) In Parshat Bechukotai we read that if B’nai Yisrael build’s idolatrous altars and statues, Hashem will later destroy them. In the Haftorah, Yirmiyahu accuses B’nai Yisrael of serving idols though out the land. #2) In the Parasha B’nai Yisrael is warned that they will have to go into exile for neglecting the Shmitta laws. The Haftorah also describes this punishment. The storyline of this weeks Haftorah: At the beginning of this weeks Haftorah, Jeremiah try to set the nation of Israel back on its spiritual course. Jeremiah says, “Hashem Uzi, U’mauzi” “Hashem is my source of strength, and my stronghold.” Not man!! In the future, all the Nations will acknowledge Hashem as the Master of the Universe. They will admit the falsehood of religions other than Judaism. They will realize the meaningless of idol worshipping. 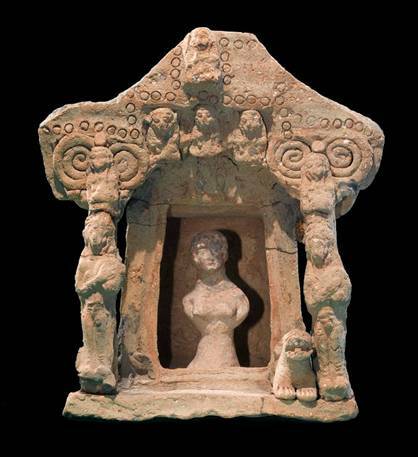 In the time of Jeremiah both Jews and non-Jews worshipped Asherah, a goddess of agriculture. The statues were made by man from wood. When they were done carving the idol, they would use the remaining wood to make the fire to burn sacrifices to Asherah. Jeremiah says “that it is ridiculous that a human being thinks that he can create a g-d and pray to it and that it will give back crops in gratitude”. Jeremiah says that the sins of worshipping idols by the Kingdom of Yehuda is carved in stone. (maybe this is where the saying comes from?) They are still committing the sin of idol worshipping. The punishment for idol worshipping will be that the Jews' property will be delivered into their enemies' hands. Another reason for exile is the violation of the Shmitta laws. Jeremiah advises that we must trust only in Hashem and not in ourselves. The consequences of trusting in oneself are explained. We read that “Baruch Hagever asher yivtach ba’Hashem”, "Blessed is the person who trusts in Hashem, Hashem will be his helper". Hashem knows whose heart lacks trust in him and the people who pretend to trust in Hashem will be exposed. The Haftorah concludes with Jeremiah encouraging the Jews to trust in Hashem and Jeremiah prays to be saved and healed from his enemies. “Refaeni Hashem vu'errafeh, hoshe'eni v'evashae, ki tehelati atah". “Heal me Hashem, and let me be healed. Save me and let me be saved, for you are my glory." He died after fleeing to Egypt, in Alexandria. A wall from Nebuchadnezzar’s Southern Palace. Famous Phrases: Jeremiah 17:14, “Refaeni Hashem vu'errafeh, hoshe'eni v'evashae, ki tehelati atah". “Heal me Hashem, and let me be healed. Save me and let me be saved, for you are my glory." This verse is said three times daily in the Amidah. Haftorahman's Lesson of the week: Jeremiah taught me to "Deliver the communication without fear of the response". And a Jew Should Trust Only in Hashem.